Motorhome, caravan or in your tent, our campsite Africa in Merzouga, Morocco, offers a space in the shade of palm trees in the garden of Auberge Africa. 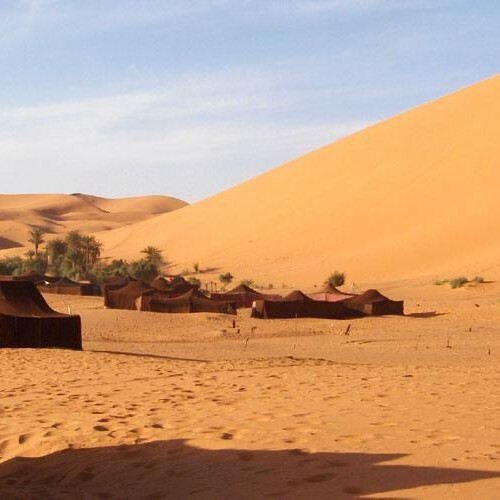 Since your wake up, you will feet in the sand, because the campground is at the foot of the dunes of Erg Chebbi, one of the largest dunes deserts. 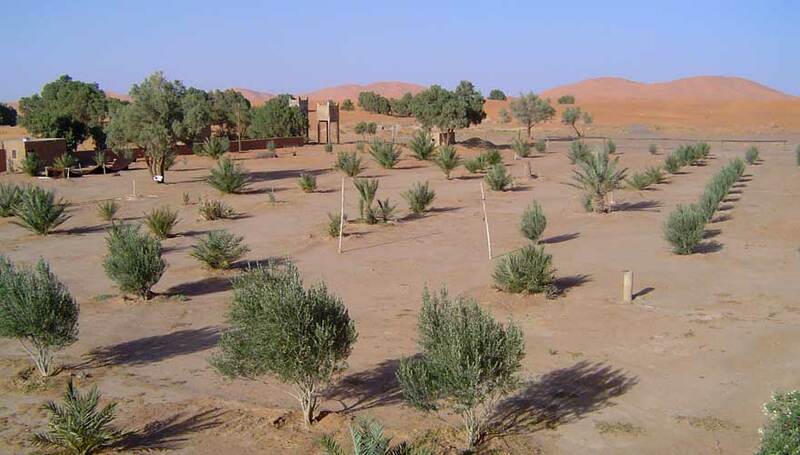 The Auberge Africa, Moroccan hotel and campsite, reserves for you a spot in his garden, at the special price of 4€ per person (or 40DH) all year! 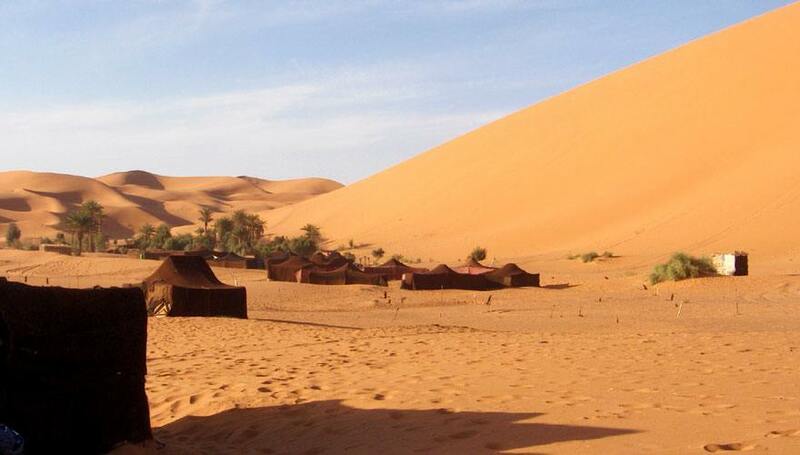 If you prefer, you can spend the night in a traditional Berber tent: the khaïma. 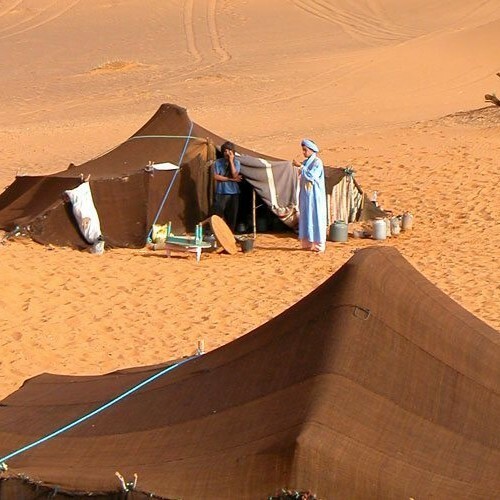 This nomad tent is the traditional housing for nomads of the Sahara. It consists of an assembly of strips of dromedary wool. You are guaranteed a unique experience that will allow you to live as nomads in this very comfortable tent. 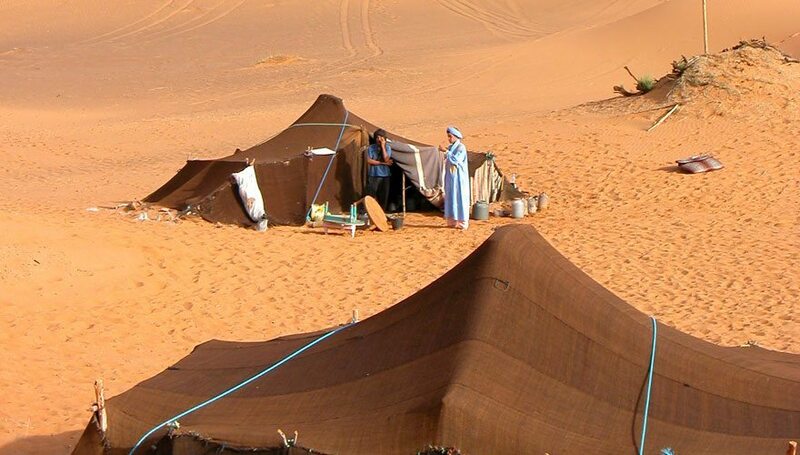 The khaïma (6-10 persons depending on the size of the tent) is available for only 6€ per person (or 60dh) per night. You will of course have access to electricity, to sanitary facilities and showers (with hot water of course!). Our restaurant is at your disposal if you wish, for breakfast and meals, or to provide you with a refreshing drink or hot tea from Sahara. 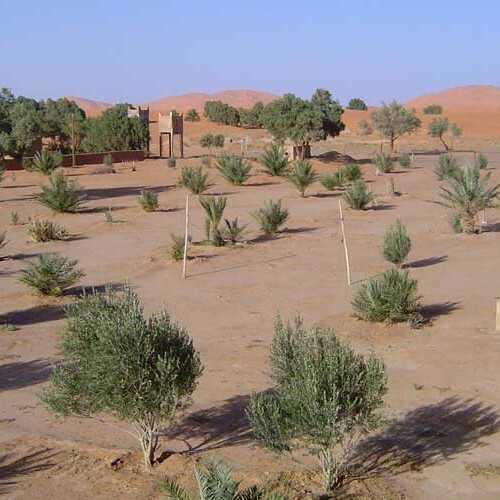 A quality service to your needs is offered by Camping Africa in Merzouga, Morocco.